An organization’s ability to execute well on today’s talent management relies on the degree to which they have and use empirical knowledge about their talent. This knowledge enables informed decisions about the right number of employees, with the right knowledge, skills, behaviors, and experience. It allows organizations to place the right person, in the right role, at the right time, for the right cost. These decisions and actions are called workforce planning. Workforce planning is informed by talent analytics. Almost all CEOs — 97% — as reported from early findings in Brandon Hall Group’s 2016 State of Talent Management Study, agree that talent analytics is critical or important to the business. Just 38% report that their approach to analytics is effective or very effective. 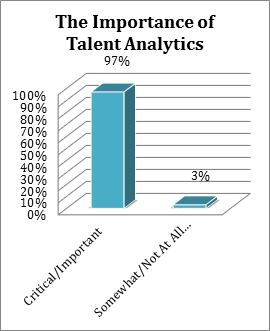 More worrisome is that one-third of organizations have yet to take even an initial step to use talent analytics. I suspect that the execution gap is likely due to challenges that often accompany talent analytics. Implementing talent analytics is not hampered by data availability. Organizations have data coming from everywhere – new hire surveys, engagement surveys, performance reviews, talent reviews, customer satisfaction surveys, exit interviews, career assessments, etc. These sources generate data such as time to productivity, performance ratings, rewards cost, successor readiness, pipeline health, retention rate, and flight risk by employee, manager, job type, level, division, region, and more. Data is not limited to these internal sources. External market data is also readily available: talent availability, competitive pay, cost of living, skills readiness, quality of talent, depth of candidate pool by job type, level, function, region, and more. What data and metrics should organizations be looking at? How do organizations get access to the most informative data? How do organizations go about analyzing critical data? Do we have expertise in-house to make findings actionable? Analyze only data that is essential for making critical business decisions (predicting customer behaviors, anticipating market trends, etc.) and taking critical talent actions (hiring more Sales Executives, moving the Operations team to China, etc.). What is the probability that hiring a systems engineer from “source A” will yield a top performer or high-potential that stays at least 3 years? Can we expect to fill open IT positions within 30 days? Start by defining the question you seek to answer. After knowing exactly what mission-critical data is needed for analysis, now you need access to it – and just it! Relying on a third-party provider (e.g. Gild, IBM Watson, Vestrics, Visier, etc. ), using the talent analytics of your existing talent management technology, hiring an internal data scientist — or some combination of all – are your best options. 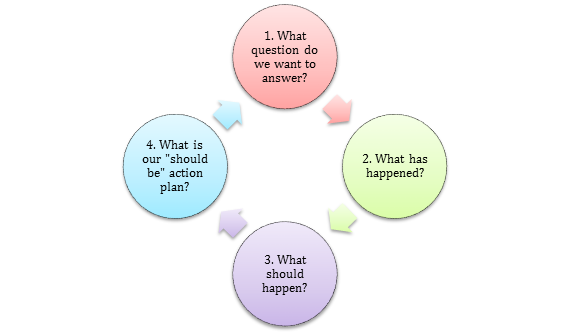 Now that the critical data is available to you, you need to do something with it – analyze it to inform action plans. 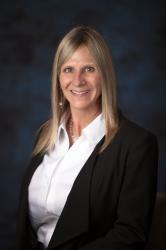 Leveraging workforce intelligence requires rigorous data analysis skills. This is a high-priority skill set that many high- performance organizations are beginning to add to staff in the form of a data scientist or analytics expert role. Alternatively, organizations can opt to contract with a 3rdparty analytics tools or software provider – one of those named above or another. HR operational knowledge, talent management program delivery, and service support of line leaders will no longer be enough. Two-thirds of organizations say HR is not prepared to support implementation of a talent analytics approach to talent decisions and actions. While that statistic is certainly a gap, I prefer to look at it as an opportunity for most organizations to jump-start their commitment to talent analytics. There is an urgent need for HR functions to help business leaders connect workforce intelligence into talent management so “right person, in the right place, at the right time” can be achieved to impact the results of the business. HR functions start by knowing what question needs answered, understanding the analysis of what has happened, participating in discussions with senior business leaders about what should happen, establishing a plan for what leadership wants to happen, and then continuing that cycle over and over. With more than half of an organization’s expense allocated to employees’ wages and benefits, on average, just a fractional improvement in people performance has significant bottom line upshots. 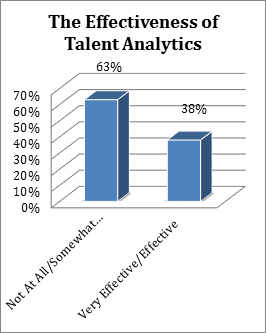 Effective use of talent analytics is the answer to improved business results.